You wouldn’t think—or at least I didn’t think—testimony in the case of grievously ill Alfie Evans could get any more emotional, any more heartrending. But today’s seventh and final day in a hearing to decide the fate of Tom Evans’ and Kate James’ 20-month-old son before Justice Hayden, characterized by tears, passion, and incredible eloquence, proved me wrong. Liverpool Echo reporter Tom Belger’s almost minute-by-minute updates truly gives the reader a sense of being in the courtroom. Mr. Evans and his partner are trying desperately to persuade Justice Hayden that they should be allowed to take Alfie to hospitals first in Rome and perhaps to Germany. The Alder Hey hospital staff, its attorney, and the woman appointed to represent Alfie’s “best interests” (who cannot be identified for legal reasons)—his “Child’s Guardian”—believe Alfie is terminal and unresponsive and that it serves no purpose to maintain him on the ventilator he has been on since May, let alone take him overseas. 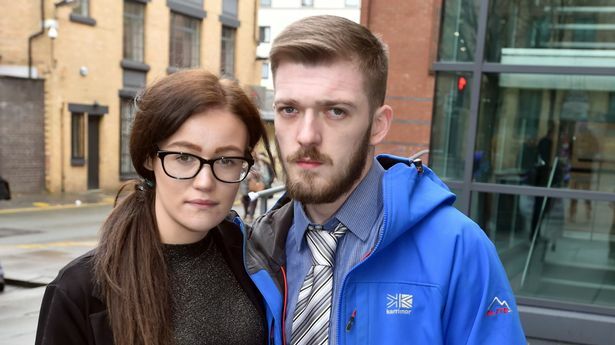 Mr. Evans, who represented himself during the seven-day hearing at Liverpool civil and family court, said: “I feel so blessed to have Alfie here. It was meant to be to have Alfie as my son. “Just the name Alfie Evans is a name that is going to be remembered around the world. “One day we hope and believe we can take him to a swimming pool, he might not be able to swim but he will have the ability to experience the water. “We’re not in denial. We see that our child has a life. As we noted in prior stories, the kindness and empathy of Justice Hayden leaps off the page of Belger’s updates. He helped Evans, representing the couple although not himself a lawyer, pose questions to witnesses and in some cases asked them himself. Justice Hayden no doubt knew that whatever the outcome, justice could not be served if Evans and James were not able to make the best case for their child. I’ll offer a few samples in a moment. if it is professional to make a declaration about a child after just 20 minutes with him. He asks if she approached Alfie’s room in an appropriate way, “do you think you went in that room and took it all in? “We believe it’s more than likely Germany will give us the better outcome. Mr. Evans says he wants further tests on the drugs Alfie has to see if they are taking full effect. After exploring options in Italy and Germany he says they will consider where Alfie is then. “If he does not present any change in a certain amount of time, we will bring Alfie home and to see the end of his days where he started it. He says he will “take it on the chin” if there is no more to be done, but he believes Alfie is telling them he is leading his own path. “I think everyone around Alfie has tried to give him as much dignity as they can. “Equally Alfie can’t experience the world around him. He can’t see, he can’t hear, he can’t feel his parents. “He can’t feel the love that is in that room for him. Mr. Justice Hayden points out that just because someone is blind or deaf, it does not mean that their life has no dignity. He says this is a view held by many countries across the world and it happens to be shared by Alfie’s family. There is so much more. I hope you will take the time to read Belger’s superb updates. The judge will deliver his judgement later this month.